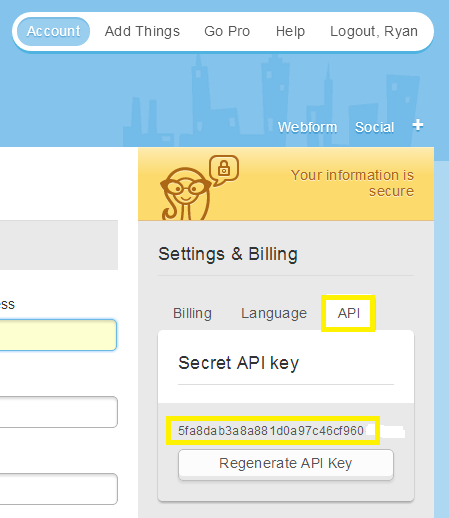 Select the "API" tab under "Settings and Billing"
On the "App Integration" tab, locate and click on the Mad Mimii "Connect" button to launch the configuration options. b. 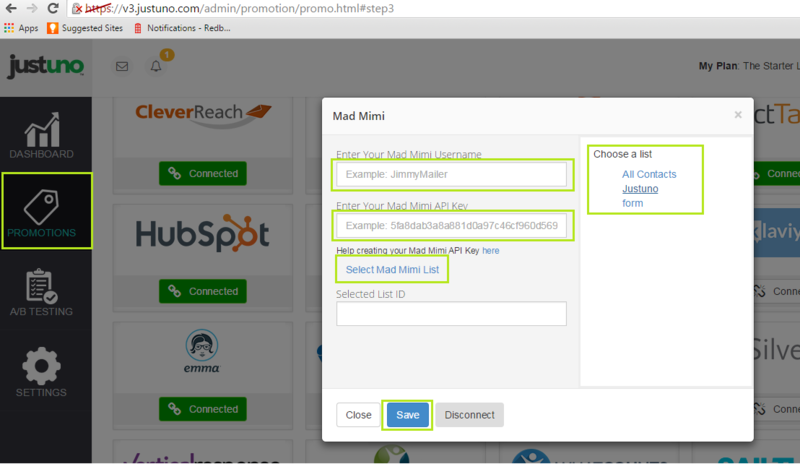 Select an Mad Mimi list and click "Save." Once a list is chosen, click the Save button. Your Justuno will now sync new signups to your selected Mad Mimi list as they come in.